So happy that SM North Edsa has Interior Zone, located at the back of the main mall at the carpark. It is really your one-stop-shop when it comes to home decorating and furnishing. 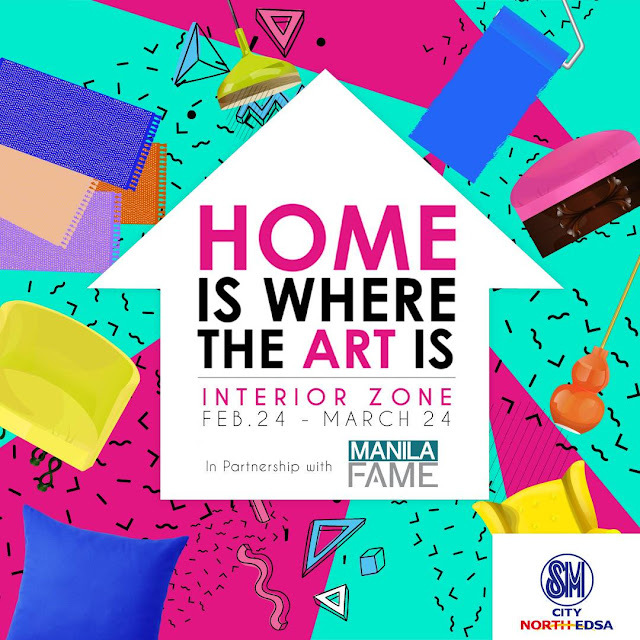 But something interesting happened last February 24, when I was invited to the launch of "Home Is Where The Art Is". 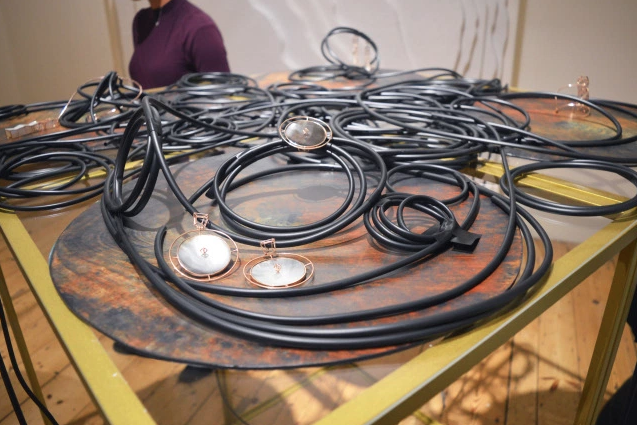 It is an exhibit that celebrates the ingenuity of young designers. 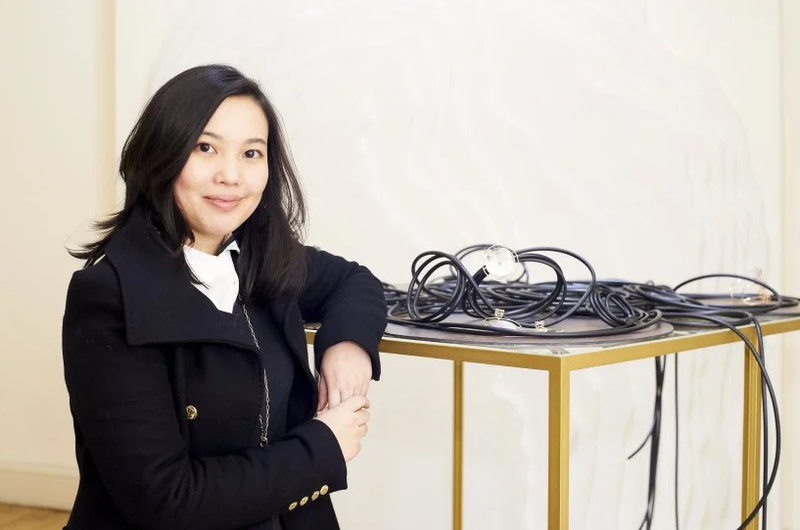 Featured to give insightful stories on their design journey were MICKI OLAGUER and VIKTORIA LAYUG. JIM TORRES joined in the open forum. All three designers were part of the Red Box Design Program, a program set up in 2013 by the Department of Trade and Industry (DTI) and Center for International Trade Expositions and Missions (CITEM) to nurture the next generation of Filipino designers. 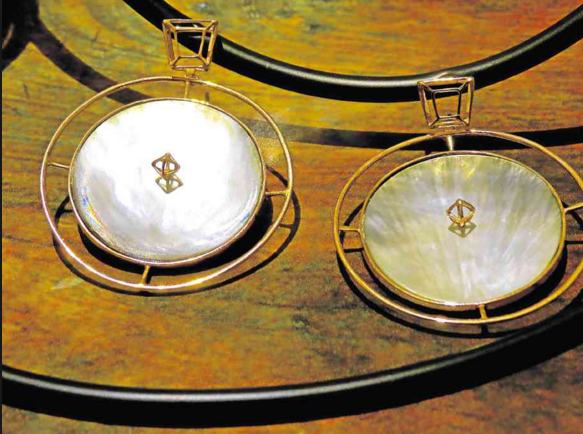 Micki Olaguer, grand winner for Fashion Apparel, featured her mother of pearl and gold and silver jewelry in the fashion Utopias: International Fashion Showcase in London. For Utopian U-turns, she got the inspiration from the filipinos working in gold mines; children sifting gold. These are individuals who risk their lives for the price of the gold they mind. Are you the type of traveler that wants to get a healthy mix of the urban and rural lifestyle while on vacation. The type who wants to experience the beauty of forests, beaches, caves... and to immerse yourself with city-like nightlife and restaurant hopping as well as the convenience of shopping in a mall. Then you should visit Puerto Princesa Palawan... the city in a forest! The flight from Manila to the capital of Palawan took about 1 hour 20 minutes. 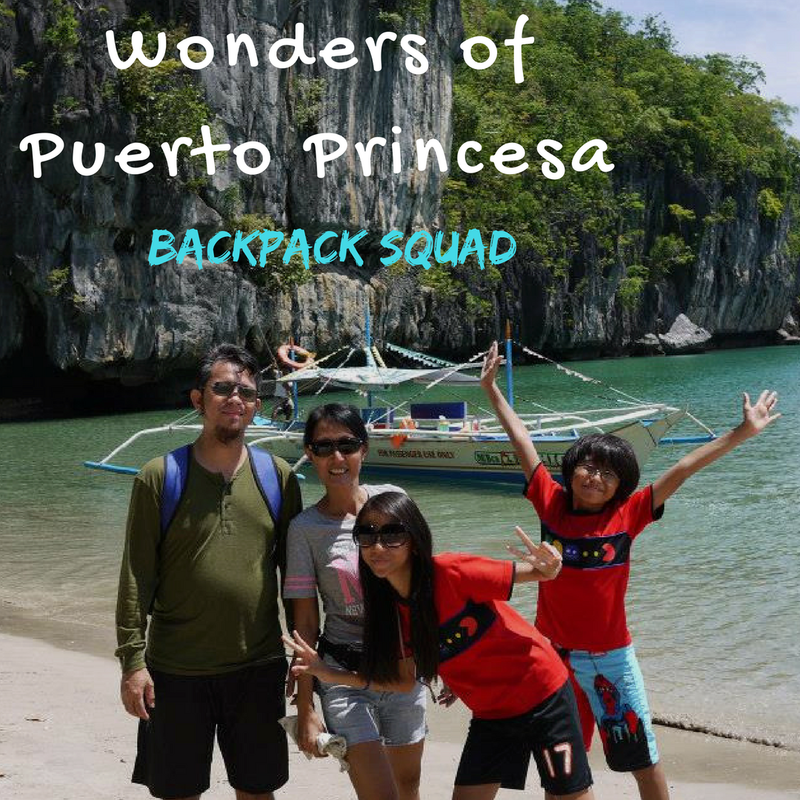 My family stayed in Puerto Princesa for 5days and 4 nights. PLAZA CUARTEL. Just across the Puerto Princesa Cathedral is the famed Plaza Cuartel. It looks like a serene city park with its tall trees and benches, but the ruins of an old garrison and tunnels were proof of its dark past. It is where the Palawan Massacre happened. 150 American prisoners of war were kept in the tunnels, and on December 14, 1944 the Japanese decided to kill them all by burning them alive. Luckily, 11 of them escaped by swimming to the sea, going to Iwahig. Up to this day... the “what-ifs” and “maybe’s” still linger in my head... but I cannot change what happened 30 years ago. The most important fact is: there is still time and opportunity to make a difference in my children’s lives. My children deserve a chance to a bright future... and I will do my best to give them that chance. Hence... the need for this article! As my journey as a hands-on-mom to my children who will soon be in college... begins! My children graduated from a non-traditional, progressive school. A school that is very close to my heart. Raya School has taught my children to love and embrace learning, be independent, seek information not only on books but by immersing themselves in the real world, and to love and be proud of the Filipino culture. But now the children have grown, one is entering senior high school, and the youngest will be in grade 10 next year. Decisions have to be made. On what course to take. On the choice of college or university to enroll in. Will my children’s dream become a reality, and how as a parent can I help? Now I feel that the pressure is upon me. What do I have to do to help my children to enter the top three universities and have the best education that they deserve? I am well aware, as a parent, that EDUCATION is best gift we can give our children. Education is vital to whatever career they want to pursue in the future. 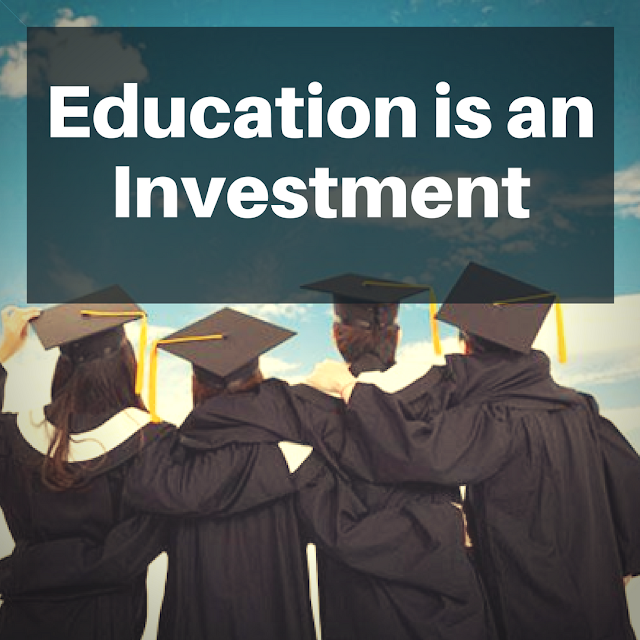 Education is also an INVESTMENT. In the United States, even in the midst of an unsteady economy, they firmly believe that college is a stepping stone towards financial stability. Digest this figure: my eldest, from nursery to junior high school, have already spent, an estimate of 700,000 just on tuition fees. Miscellaneous fees, transportation, allowance, books and school supplies were not yet included. So if you multiply this by two, I already spent 1.4 million on the education of my two children, and they haven’t reach senior high school yet! I could have bought a brand new car given that amount. Or paid off my mortgage. But no! I put such a high premium on education. In senior high school, the school that we are aiming for, charges 55,000 per semester, so that’s roughly 110,000 for each child, a year. Multiplied by two children, in the same school, in the next two years – grand total will be – 440,000. Before they even step inside the college or university of their choice, I paid for something close to a million pesos just for one child. CAN YOU IMAGINE THAT??? That is the cost of education in the Philippines. So now you understand when I say... it is really an INVESTMENT! With this amount... wouldn’t you be pressured as a parent, to make sure that your child enter either UP, Ateneo or DLSU? It is like running a marathon. You are very close to the finish line... will you not fight to your last breath to get to your goal? If entering these three schools will secure your child’s future? By making sure he or she receives high quality college education? Knowing the fact that graduates of these top universities get more and better opportunities, gain international acceptance and are perceived by employers to be more equipped to take on greater responsibilities? With entry to the top educational institutions becoming more and more competitive these days, and costs gradually rising, it is important that you plan ahead so that your children get the best possible start in life. SHOULD I ENROLL MY CHILD IN A REVIEW CENTER? Surprisingly, 80% of the respondents said, YES, they would enroll their children in a review center. Ambie, a mentor and friend, enrolled his son in an UPCAT review. And he aced his UPCAT, ACET and DCAT exams. Having considered all of these... I am 70% complete with my review center hunt. I think it’s time to visit the review center that best fit my personal checklist! 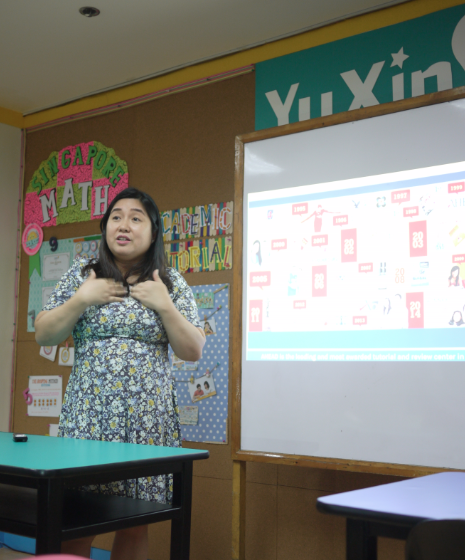 I braved the traffic of Katipunan Avenue to visit one of the leading and most awarded tutorial and review center in the country – AHEAD. “We are very proud of what AHEAD has achieved through the years. We have been in the business since 1995. We put a lot of effort in making innovations every single year. We are the first to offer Test-Based Reviews for the country’s most competitive admission exams, namely the University of the Philippines College Admission Test (UPCAT), the Ateneo College Entrance Test (ACET), and the De La Salle University College Entrance Test (DLSUCET). As far as PRICE is concerned, AHEAD is the most expensive review center in the Philippines right now. But this is because, of the quality of review and the value of techniques they impart to their students. Aside from contributing to their students’ knowledge, AHEAD targets to give them the confidence and support that they need to do well in the exams; to develop a winning attitude that they can carry throughout their lives. Their APPROACH is Learning by Doing: According to research, people retain 10% of what they read, 20% of what they hear, 30% of what they see, and 90% of what they do. Our review trains students to learn by doing as they put their test-taking abilities to practice. AHEAD encourages PARENTS to be INVOLVED in the review process through their Parents Seminar. This helps parents find ways to best support their children in preparing for a successful future. It covers information about the top three universities and their college admission tests and shares tips on how parents can guide their children’s college choices. SMART READING: Our introductory session on smart reading helps students get higher scores in the reading comprehension section of the college entrance exams, breeze through and understand exam instructions, and decrease their overall study time because of faster reading. MIND MAPPING: This technique helps students translate words, topics, and subjects into images so they are able to retain larger volumes of information, better understand the interconnectedness of concepts, and produce more creative ideas. And the TEACHERS: Aside from belonging to the top 1% of their batches in UP, Ateneo, and De La Salle, our lecturers are young, smart, and highly engaging. All of my concerns in the checklist were explained and answered! But what sealed the deal for me? MONEY BACK GUARANTEE scheme. This shows AHEAD’S strong confidence in their review system and track record. Part of the terms and conditions for the PREMIUM REVIEW is that the child should at least take the UPCAT, ACET and DCAT. The money back guarantee clause then kicks in when the student does not pass at least one of them. I think I have made my decision. YES, I will enroll my child in a review center! And I bet, it will be a very informative and life-changing summer for her! My child’s journey will not end on the fact that I enrolled her in a review center. A very important factor in the success rate of children entering the university of their choice is the parent’s involvement and commitment in supporting her all the way. The ideal scenario: Together with your children, you have chosen what you think is the best university for them. Helped and guided them in picking the right college course. Perhaps, made that vital, informed and joint decision of enrolling in a review school. What’s next? Blue, green or maroon.... I have prepared your path to success... Now it is all up to you. Success is not measured in money, it is measured by doing what you love, what you are passionate about. It’s about determining your life’s purpose and doing your best to attain it. When you finally find the ideal job... be very hardworking. Don’t throw unreasonable demands, or display an attitude of self-entitlement. Be flexible in the workplace, adapt to the new environment, make friends and continue the pursuit of learning. Learning never stops. It is a continuous journey. Life is all about choices. I hope and pray that you continue to make the right choices in life. I have already given you the wings... now you go and FLY!